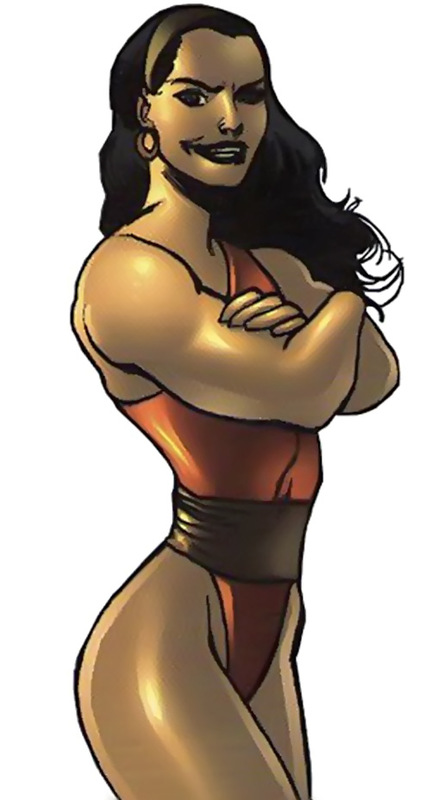 Ebony is a Darna foe, and Darna is the major Filipina super-heroine. She’s a sort of pinoy Captain Marvel. So, in practice, most of our readers will want to first read the Darna character profile, then the Valentina character profile, then Ebony’s. This is the Mango Comics version of the serpent characters. Known Relatives: None, calls Valentina and China “sister,” but that may be a simple honorific. Height: 6’0” Weight: 210 lbs. Ebony is Valentina’s muscle. She can transform into powerful giant constrictor roughly the size of an oak tree. She seems to have full control of this transformation including partial transformations where she is covered in scales. She also can retain her limbs or transform them into part of her snake body/tail in virtually any combination. She typically uses her speed to circle her opponent and quickly ensnare them. In DC Heroes RPG terms that’s a Blindside bonus of -1 CS to OV if her opponent has not seen her use this tactic. From there, she’ll use her shape-changing power to become larger and stronger (in DC Heroes RPG terms, STR 14 and RV 12) and squish her opponents in her deadly coils. Ebony is the same race as the Serpent Queens. As such has the ability to communicate with all sorts of serpents. She can even use snakes to bite regular humans for unusual effect. If they should survive the experience, their strength and toughness increase dramatically but they can be controlled by Valentina in a similar fashion to her serpentine servants. The world controlled by the races was desolated in the conflict and the Matriarchs fled to the planet Nibiru (also known as Marte). 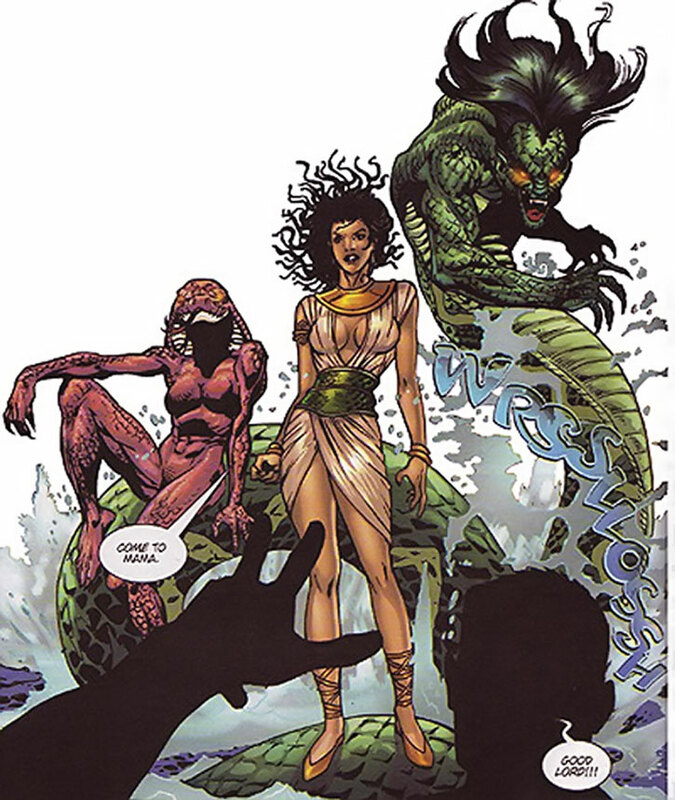 Valentina and the “Serpent Queens” were left to control Tiamat. But while they ruled the world, it was a hollow victory as the planet was now dead. The queen, Valentina made her way to the world of Earth. She integrated herself into human society disguised as one of them. She soon found this world worthy of her rule and brought her ‘sisters,’ China and Ebony, to Earth (it seems likely she has either a dimension travel power or some other ritual for traveling back and forth). Valentina disguised herself as Amor!, a new pop-singing sensation. She plotted to turn her throngs of fans into her mindless slaves at a huge concert. China and Ebony dutifully followed in their queen’s shadow, awaiting the time they could poison and crush these verminous humans. Everything was going well until Darna showed up, interrupting the concert at which Valentina was planning on enslaving these stupid humans. Valentina had even taken special hostages that seemed important to Darna, but that didn’t seem to stop her. While China held the hostages, Ebony was given leave to attack. She quickly coiled around Darna, and even managed to swallow her whole! Unfortunately, in a feat of strength and speed, Darna punched her way out of Ebony’s mouth. China joined the fray. 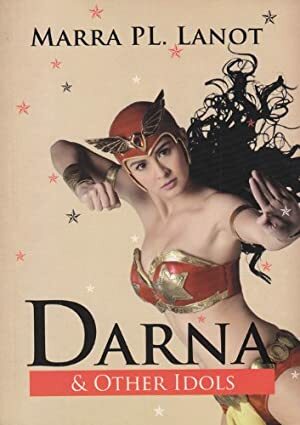 Zipping around Darna to get behind her, she grabbed the Adarna Warrior and breathed a poisonous cloud of venom into her face. Unfortunately, Darna was able to hold her breath and quickly overpowered China as well. Valentina retreated from the battle as her servants had fallen. Ebony appears to be a large, muscular and attractive woman in her human form. When she enters battles, she instantaneously morphs into a large, green snake. She usually assumes a form that looks similar to a mythological naga , humanoid from the waist up with a long tail. This form seems to give her the benefit of her snake form while giving her the ability to hold things with her arms as well. To truly take advantage of her size, she will fully transform into a snake so large she can crush 3 grown men in separate coils and maintain a human or shake head (sometimes with a cobra-like hood) in this form. When in the full form and size of the snake, she can swallow a human sized object whole. Ebony likes to crush things, especially bones. She views humans (especially men) much like mice who are to be toyed with before being crushed. She has a rivalry with China for the attentions of Valentina, who is apparently the only person who could tell her what to do. She doesn’t really understand why Valentina wants to enslave humanity rather than just kill them all, but she’s willing to give it a try. She’s not the brightest of ladies. But she knows how to use her strength to full advantage and enjoys showing it off, especially to Valentina. She will use her abilities to squeeze the life out of her playthings, laughing gleefully all the while. Once she feels satisfied that she has defeated her opponent, she will attempt to swallow them. Ebony and China could also be used with any of the Serpent Societies or squads as another pair of flunkies. While they are physically formidable in their snake forms, they need leadership to be truly effective and lack enough imagination to truly strike out on their own. After rebuilding his transmitter with the help of the Manhunter, Saul Erdel decides to use it in experiments on other celestial objects. Targeting the asteroid belt, he accidentally summons the presence of two natives of what was once a planet, destroyed eons ago. Ebony and China quickly overpower the scientist and begin a rampage, taking over and destroying the city around his home. Shape change includes partial transformation but is restricted to changing to the form of a giant constrictor. Omni-Arm is contingent on Shape Change and can only be used to change her arms into snakes (which can use the powers relating to their venomous bite) ; the AP value is usually used on Stretching or Split. 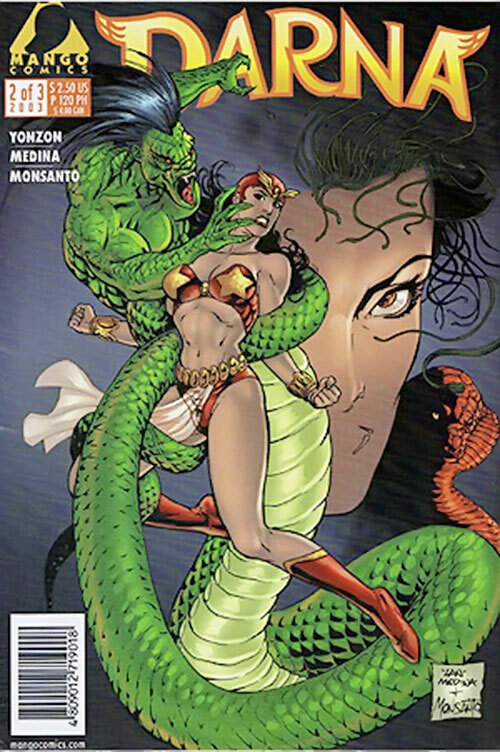 Strange Appearance (when she partially transforms into a snake), Exile (Presumably Voluntary), Secret Identity, MIA (Causing pain), Minor Rage, Attack Vulnerability (-1 CS vs. cold). Occultist is speculative based on the “Serpent Queens’” collective knowledge. The attack vulnerability and Tracking Scent are also extrapolated based on real snakes and reptiles. Even though Ebony’s a constrictor, I gave her Poison Touch since she does have oversized fangs like a viper in her full snake form, but did not give her the full mixture of venom China has since she’s never seen using it. I also gave her the Omni-Arm even though she never uses it since both Valentina and China use it and I assume it is a racial ability. Initiative: 14 (21 during initial phase). Claws and Poison Touch are combined powers and represent her fangs and venom. Growth and Stretching do not actually increase the size of her torso or features, but her tail and snake form can reach the size of a large tree (approximately 60‘).